Being a working mom is hard. 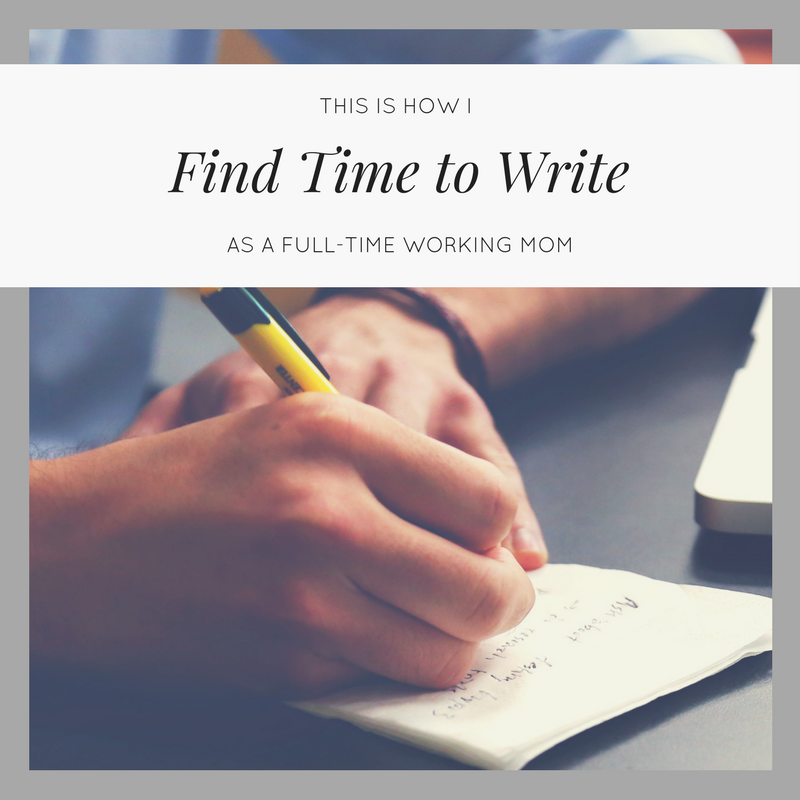 Being a working mom and also keeping up a writing routine is even harder. On top of the daycare drop offs and pickups, waking up in the middle of the night to tuck my three-year-old back in after she goes pee (seriously, stop pls), and trying to at least get the dishes in the sink after dinner, I also try to carve time out of each day to work on my writing. I’m not always successful, but I’ve managed to keep at it, and I try to celebrate that. So, in case it helps anybody else to not feel alone in their agonizingly slow journey through any kind of large project, here is how I have managed to keep writing while working a full time job and parenting two daycare-aged children. It’s so important to get enough sleep, but I wake up early so I can get some time to write in before the kids wake up. I set my alarm for 5:00am, my coffee pot to automatically brew at 5:10, and try not to hit snooze too many times. Sometimes the kids wake up too early, or I take too long eating breakfast, but I’ve learned that even if I only get 15 minutes of writing in, that’s 100 or 200 words that I wouldn’t have written otherwise. When waking up early doesn’t seem to be working very well, I switch to staying up later for awhile. I really wish that I could have a clean and tidy house, laundry that doesn’t live in baskets, and clean sparkling sinks and a running dishwasher at the end of every night. Yes, I could probably fold laundry or be more consistent about unloading the dishwasher after it’s done, but after a full day of work and then an evening of being responsible for the kids, I’m exhausted. If I wanted to keep up on every chore AND still write and have hobbies, I would have to sacrifice sleep, and then I’d just end up napping at some later point. I block out a small chunk of writing time on weekends when I can, so that I have some dedicated time to focus. My husband does his own thing with the kids while I head to a coffee shop. Yes, part of the benefit of writing is that it’s flexible and can be done any time, but that doesn’t mean that I should always be at the mercy of everyone else’s schedule. Over the last three years, I’ve often felt discouraged that I haven’t been finishing several books instead of plodding through revisions of just one book. I’ve felt anxiety that the book has taken so long to write, causing me to avoid sitting down to write. Even after a gap, I’ve managed to get back to the keyboard. The tiny chunks of writing might have seemed incremental at the time, but now I’ve almost got a finished novel out of it. Although it’s important not to quit, it’s also important to allow yourself to take a break once in awhile. I know the prevailing advice is to write every single day, but some days it’s impossible to do everything I wanted to do. So, if there’s a night when I’d rather pick up a knitting project instead, I do it. Relaxing is important too, and if I never got to do anything because I was so focused on my writing, then writing would stop being fun. So, those are some of the things I do to keep on track with my writing goals. It may have taken me three years to get this far, but I made it. And, I’m sure that now that I’ve gotten more into the swing of this parenting thing, I’ll be able to maybe not take three years to finish the next book. If there are any other writers who are parents reading this, I’d love to hear about the strategies that work for you. How do you manage to sneak in your writing or other creative pursuit while also wrangling kiddos?